For many years the group worked under the name Atatürk academy of folk dances and in 2008 they changed their name. They are eagerly devoted to the mission of preserving the folk tradition of the third biggest Mediterranean island where centuries of Byzantine, Venetian, Ottoman, British and other governs left their traces in the folk customs in the region. The colourful palette of songs and dances authentically represents the hard life of the inhabitants. The group is working under the patronage of the Turkish country. 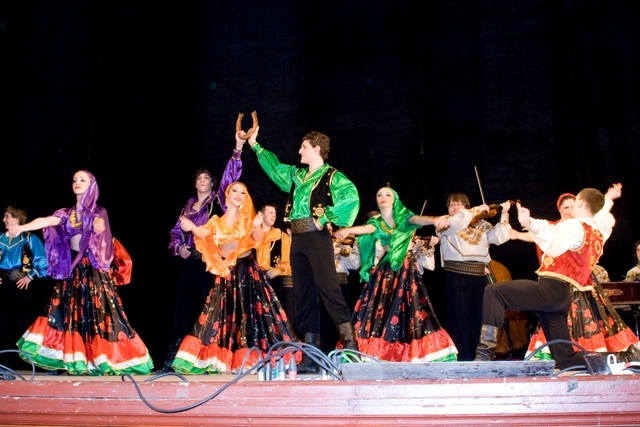 "Lietuva" is a professional ensemble incorporating dancers, a choir and orchestra. It was founded in November 1940. It combines various folk arts preserved through centuries. The orchestra uses only folk instruments which sound like the most adjustable classical instruments. The costumes represent a rainbow of patterns and colours of many different ethnographical regions of Lithuania. The forever youthful, wild and creative ensemble keeps the tradition of old folk arts alive and presents the audience with the beauty of folk art from a land along the Jantar shores of the Baltic sea. The “Ardealul” ensemble is working under the patronage of the Cultural centre of the University in Sibiu, Romania. It was established in 1995 when the youth realized their wish to loyally represent Romanian folklore around the world. Soon they started performing around the country and abroad. Their repertoire is based on local traditions, but also includes traditions from the whole country which is known for its cultural wealth. Through dance and music they are representing all areas of the country and are successfully performing at national and international festivals. The group was founded by professor Carmen Lopez in 1968 at one of the biggest universities in Columbia. They have been shaped by 45 years of dance and love for the Colombian tradition and are still proudly carrying the name of their founder. 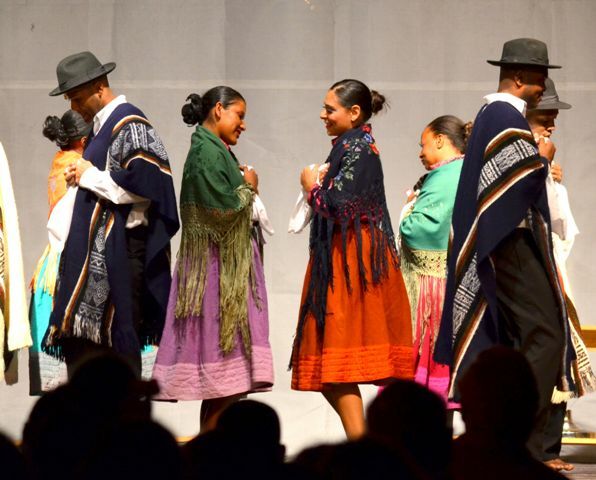 Since the beginning they have been devoted to their mission which is to present the Colombian traditional folk art on folklore stages around the world. Colombia has a rich culture and countless legends about life. It has a lot in common with other countries in Latin America and there is a strong influence of Native Americans present, with African and Spanish elements. The group was founded in 2008 in Odessa under the patronage of the local philharmonic society. 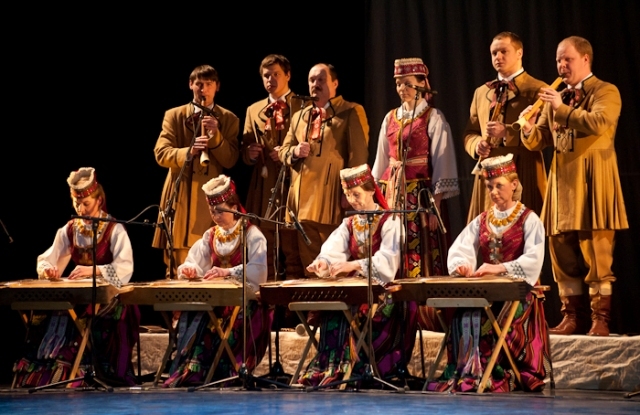 Their repertoire consists of the best and most beautiful folk treasures of the Ukrainian tradition. Lively and spectacular performances, colourful costumes and infinite energy represent the characteristics of Ukraine and its nation in the best possible way. The orchestra accompanying the dancers is using authentic national instruments and with this rounding up the perfect scenery of the traditional program. The ensemble received many awards at festivals back home and in Europe. They are welcome guests at international festivals and a real attraction with their mighty presence. From 1945 on they have been preserving the exceptional richness of Macedonian culture which arose from the varied and wild history. The group is spreading the voice of the Macedonian country all around the globe. More than 10.000 dancers helped to shape the rich history of the group and performed at more than 6000 concerts at home and abroad. The Macedonian folk dances are an interesting combination of tenderness, manliness and skills which with highly developed rhythms present the folk art in the best way possible. Their fervour and uniqueness of the musicians and dancers of this excellent group perfectly represents the land of sun, countless cultural monuments, many lakes and friendly people. One of the best academic folklore groups in Slovenia has been present for 49 years and there is no need to introduce them. 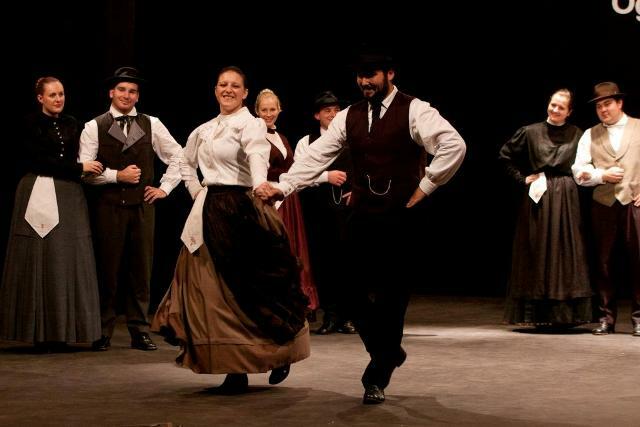 Every year, 25 years in a row, the group co-organizes the international folklore festival Folkart in Maribor. 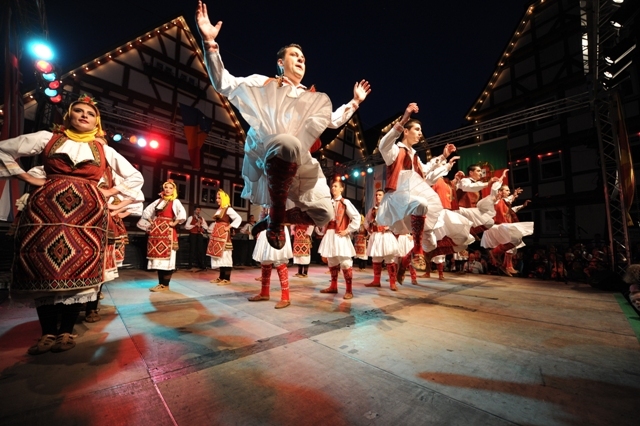 With the help of the group the festival became one of the best folklore festivals in Europe. Together with Narodni dom Maribor they endeavour to welcome the participants to Maribor and make their stay here unforgettable. They are devoted folklorists, exceptional ambassadors of folk tradition and with their youthful energy they are ensuring that the tradition of former generations finds its way to the national and international stages. The Emona folklore group was established in 1967. Next to joyful gathering and making new friendships the members also preserved the rich Slovene cultural heritage and presented it among people. The group united many folk enthusiasts through the years. Nowadays the group also follows the fundamental aims and is constantly working on extending their repertoire. The group consists of dancers and an ethno-music and tamboura orchestra. For their devoted work, artistic value, originality and performances they received various awards and prizes. Under the patronage of the Slavko Osterc cultural society from Veržej the group has been performing for 6 years. 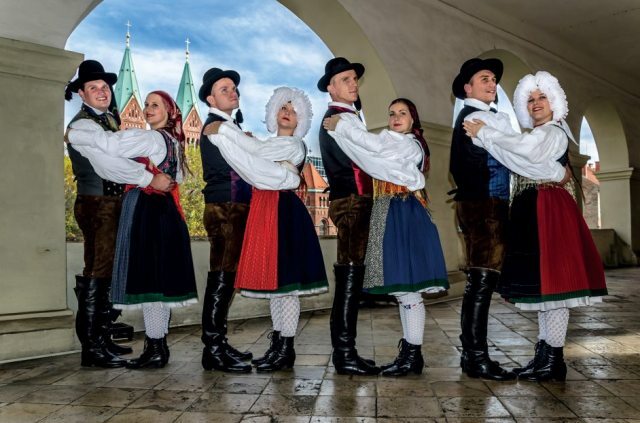 It consists of youth from Veržej and other parts of Prlekija and Prekmurje who are united by the love for performing folk dances and songs. They have been touring in Slovenia and other European countries. In 2012 they successfully concluded the project of gathering folk songs under the name »Te je lüšno blo« and presented their first CD with 17 folk songs that were once sung across Prlekija.